A new spirit of collaboration is taking hold in Iowa. When landowners and producers upstream work together with cities downstream in carefully managing shared water resources, everyone can benefit. Collaboration between urban and rural entities is key to maintaining the health of watersheds and the sustainability of waterways. Coordinated planning that addresses the ever-increasing demand both for clean water and for agricultural products is gaining momentum. This new direction has been years in the making. One step along the way was updating Iowa’s Nonpoint Source Pollution Management Plan. In 2012, after 18 months of engagement with local, state, and federal agencies and a wide range of stakeholders the plan was unveiled and proposed a goal to build partnerships that enhance a collaborative watershed approach to reducing pollution. That plan informed the Iowa Nutrient Reduction Strategy, a voluntary science- and technology-based framework to improve the health of our watersheds. While many would like to see the measures in the strategy go further, it has created a first in the state: The Water Resources Coordinating Council brings together agricultural and urban leaders to develop and implement an integrated approach that enhances Iowa’s downstream waters and the water that flows into the Gulf of Mexico. If we want to move the needle on water quality, we need to bring urban and agriculture interests together. Roger Wolf, director of Environmental Programs and Services of the Iowa Soybean Association. All water users—ag and urban alike—are coming under pressure to do more to keep water resources clean. Part of that is looking for cost-effective opportunities to partner and collaborate with upstream and downstream entities to protect the water in the interconnected streams, lakes, and rivers that thread through, and sustain, regions. At the same time, agricultural leaders are working with and encouraging growers to adopt techniques that keep nutrients in fields, where crops need them, and out of streams, lakes, and rivers. One example is the USDA Natural Resources Conservation Service’s Regional Conservation Partnership Program which encourages multi-party collaboration on water, soil, and wildlife conservation and sustainability, at a regional or watershed scale. As part of that effort, the state of Iowa recently launched the Middle Cedar Partnership Project. 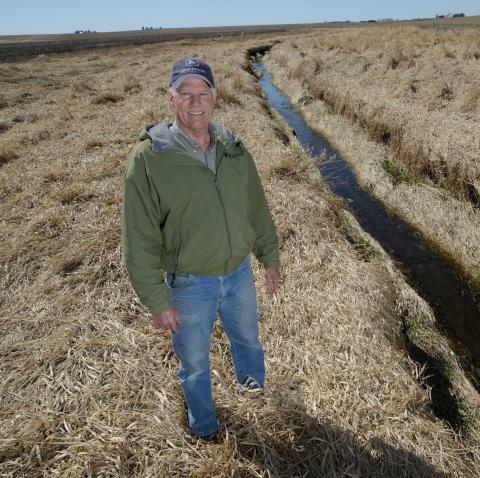 In a proactive venture, the city of Cedar Rapids and 15 partners, including the Iowa Soybean Association, entered into a five-year partnership agreement to implement practices proven to reduce impacts from upstream farm-field runoff. Initial partnership efforts focus on five key areas within the Middle Cedar Watershed, a 2,417 square mile watershed, which is part of the larger Cedar River Watershed. The project unites downstream water users, such as the city of Cedar Rapids, with upstream agriculture and conservation entities to address the primary concern of water quality–specifically reduction of nitrate loads to the Cedar River. The partnership project begins a new era in terms of water quality protection and additional flood control. “If we want to move the needle on water quality, we need to bring urban and agriculture interests together,” said Wolf. The first step of the Middle Cedar Partnership Project was to develop watershed plans for the five targeted sub-watersheds in Black Hawk, Benton and Tama counties. Addressing water quality and flooding in the entire 7,485 square mile Cedar River Watershed will require long term vision, commitment from farmers, landowners and stakeholders, as well as significant public and private investment. Although the Middle Cedar Partnership Project addresses just a piece of the puzzle, it exemplifies how partnerships can provide greater focus and resources. Another remarkable urban-agriculture collaboration is underway in Iowa to restore and maintain the 57-square-mile Catfish Creek Watershed, which straddles farms, ranches, open space, industrial land, and residential neighborhoods in seven townships and four cities—including Dubuque—on the banks of the Mississippi River. The effort brings together rural, municipal, and water agency leaders around common goals of land and water stewardship, and practical, durable solutions that reduce flooding and nonpoint pollution in a watershed that serves 56,000 people. Back in 2007, Dave Ruden and colleagues at the Soil and Water Conservation District, teamed up with folks from the county, the city of Dubuque, and it’s stormwater management utility on a small stream-restoration project. The three agencies had never worked together and at the time cross-jurisdictional action on water was more or less unheard of in the state. The partnership was premised “on the assumption that people in rural and urban areas alike want to have a sustainable environment,” said Teri Hawks Goodmann, assistant city manager of Dubuque. But collaboration also was inspired by pragmatism. “We’re all trying to do the same thing as far as water is concerned and we wanted to avoid duplication,” Ruden said. The group soon discovered that diverse points of view made for better solutions. When the initial restoration was complete, everyone wanted to continue—and expand. And so in 2011, the Catfish Creek Watershed Management Authority was born. Run by representatives of all the political jurisdictions in the area, the authority holds quarterly stakeholder meetings to address problems across the watershed. In 2014, the authority released the first comprehensive, long-term action plan for Catfish Creek. It identifies hotspots—3,000 acres of high-priority areas for clean-up and restoration. It offers wide-ranging policy and programmatic recommendations to improve flood management, groundwater quality, fish and wildlife habitat, and surface water quality. And it recommends agricultural management techniques that could lower nutrient loads by 37,000 pounds a year of phosphorous, 97,000 pounds of nitrogen and more than 22,000 tons of sediment, while helping farmers to prevent flooding and conserve topsoil and nutrients. The plan includes report cards with milestones to be evaluated over 20 years. 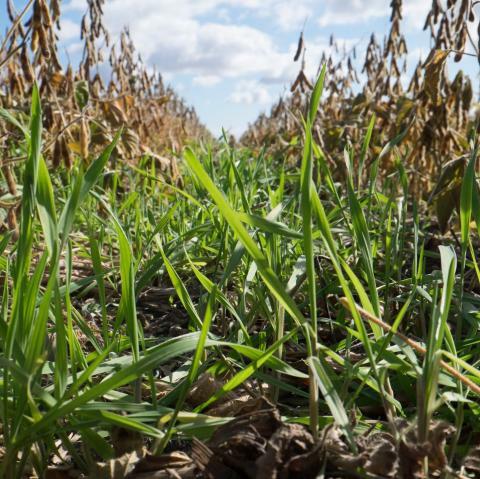 A growing number of farmers, ranchers, and producers across Iowa are adopting conservation practices such as cover crops, conservation tillage, and better livestock waste management. Like all change, progress won’t happen overnight and, complicated by hydrology and land formations and soil characteristics that vary from farm to farm.